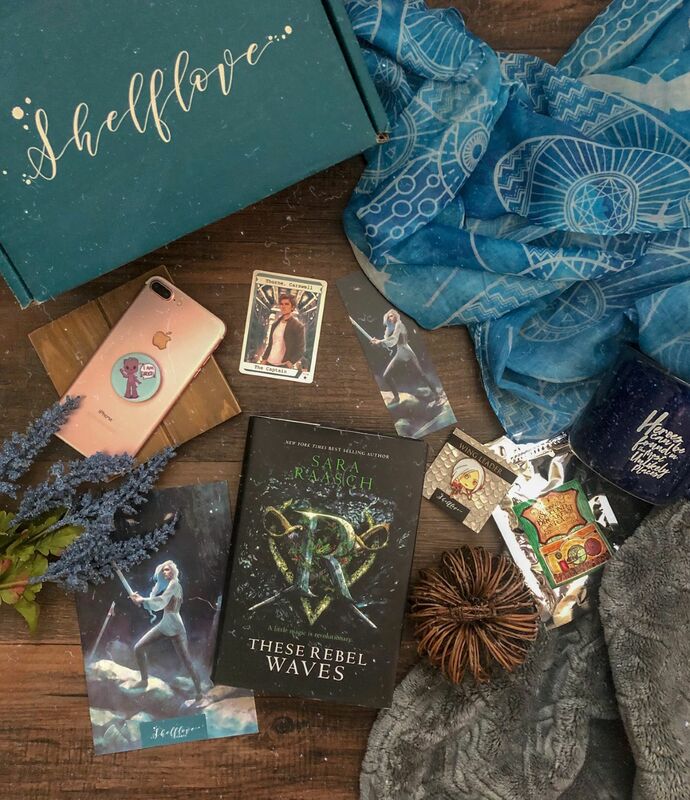 About the box: Shelflove Crate is a subscription box featuring fantasy and science fiction books for young adult readers. I decided to give Shelflove Crate another try and I’m really glad that I did. The August box (I know I’m extremely late posting this) contained a ton of fandoms that I love and the products were perfect. I love that the items included this month were some really useful items. My favorite item of the month is probably a tie between the Strange the Dreamer inspired scarf and the Groot PopSocket. The scarf is a gorgeous print in a soft blue color and the material is very comfortable. I can see myself using this quite a lot, especially with it starting to be scarf weather again. I haven’t actually read Strange the Dreamer yet but it’s Laini Taylor so it’s not like I’m really expecting anything less than perfect. The PopSocket is absolutely adorable. The artwork is so cute and I’ve gotten quite a few compliments on this already. I’m a huge fan of PopSockets so I’m happy to add this one to my collection. I must admit, I’ve never watched Doctor Who and I don’t drink tea so those two items aren’t perfect for me. However, I plan on starting Doctor Who sometime soon so I’m happy to hang on to the mug until I decide how I feel about the show. As for the tea, I will probably give it a try and if I don’t enjoy it, my mom will. I can’t forget the adorable Manon pin. I’ve become such a huge fan of enamel pins and I’m so happy to have this one. Manon has become a favorite character of mine over the course of the series and I love the artwork used for this representation of her. I can’t wait to hang it up with my other pins! Last but not least, I’m very pleased with their book choice for the month. I’ve actually already read an ARC of These Rebel Waves and had plans to get a hardcover so this worked out perfectly for me. It’s also great that it’s signed. I’ve actually met Sara Raasch and gotten her other series signed so it’s perfect to add to my signed collection. Overall, Shelflove Crate really redeemed itself with me this month. I certainly think I got my money’s worth with this box and I can definitely say that I would recommend checking this one out if you’re up in the air about which subscription box to try out. 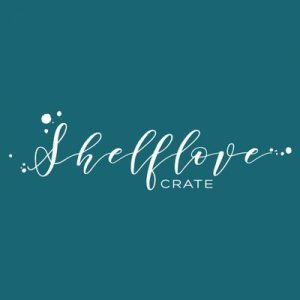 Did you get the August Shelflove Crate? What was your favorite item? Are you thinking about giving this subscription box a shot? I love the STD scarf and Manon pin. I was tempted to buy the box when I saw those items but it costs so much with shipping and customs to the UK. Wow! This looks really fantastic! I will have to give these a try. What an exciting package to receive.